Gajendra P.K. Khare is the Founder Chief Executive at SCS universal. He is a professionally qualified HR professional and trainer. A global professional, Strategic HR systems expert, people person, creative thinker & writer. Gajendra has worked as a senior level HR position in India and Abroad for over twenty years, He specializes in guiding organization in successfully responding to the challenges of continuous change. With a focus on Quality work life (QWL) surveys, Study the Human Resource Systems, Implementing ERP systems, strategic thinking and acting, leading change, leadership performance coaching, Performance measurement and improvement, and team based decision making and problem solving, Gajendra has published articles on â��WHAT ARE HR STRATEGIC OBJECTIVE, ITS INDICATOR AND HOW TO MONITOR IT FOR ORGANISATIONAL BENEFITSâ�� and also published article on HOW TO MONITOR TRAINING EFFECTIVENESS. Gajendraâ��s competencies developed over 20 years of professional experience enable him to be a mentor who touches and transforms business in to value based organisations and profit making centers. Prior to setting up SCS universal, he has worked various industries in India and abroad. He has developed and implemented various HR solutions & also implemented ISO-9001:2008, ISO 13485:2003, CE & WHO: GMP certification. 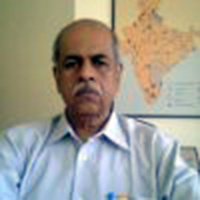 He has served as strategic management consultants of reputed organizations in India. Pradosh Mishra, an alumnus of XLRI, Jamshedpur, an Enriched and Experienced Human Resource Domain Expert with the Heart of a Mentor and Trainer. Pradosh has over 30 years of rich experience in overseeing the gamut of Human Resource and Work Relation Management in the industries of national and international repute. He is a keen communicator and has the ability to relate to people across the levels that drives achieving desired objectives. Presently, a HR Consultant and Faculty in Unitedworld School of Business. A Corporate Trainer and Motivator for performance excellence. Mr. K.N. Murli : Top notch Engineering professional with a successful career spanning more than 30 years offering to contribute rich and extensive knowledge and expertise as Management Advisor in the area of QMS and QA. Training on Systems & Procedures, etc. Development / Service (Placement Services / CA / Water Park / BPO)/ Project Management /Electric Power Stations etc.